The Presbyterian Senior Living project included a series of commercial kitchen design and development services for the seventh largest senior living company in the country, and is another repeat client of Mise Design Group. 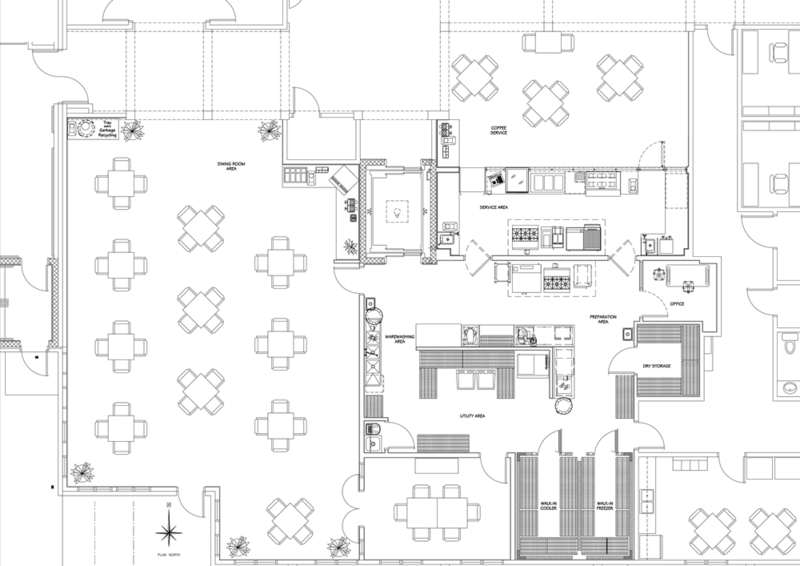 To date, we have designed 4 separate Presbyterian Senior Living commercial kitchen design projects with the largest being the Ware Community. This Presbyterian Senior Living project consists of an à la carte operation serving over 200, a modern bar and coffee shop area, as well as a separate catering service kitchen capable of serving well over 400 on the lower level of the facility. Mise Design Group is not known for their institutional design and development services but the senior living industry is evolving to serve a different generation who values food quality and requires more of a restaurant style environment, which is exactly where our field of expertise is. Presbyterian Senior Living is actively moving toward this transition with the assistance of Mise Design Group and their talented team of construction project management professionals. Click Here to get more information about the commercial kitchen design and development services we provided for the Presbyterian Senior Living Project.